Be it a ‘bachpan ke dost’ ki shaadi or mausi ki bhanji ki saheli ki shaadi, whenever there’s a shaadi, there’s got to be a formal invitation. The first thing to make your wedding a grand affair is to design some really cool and innovative wedding invitation cards. 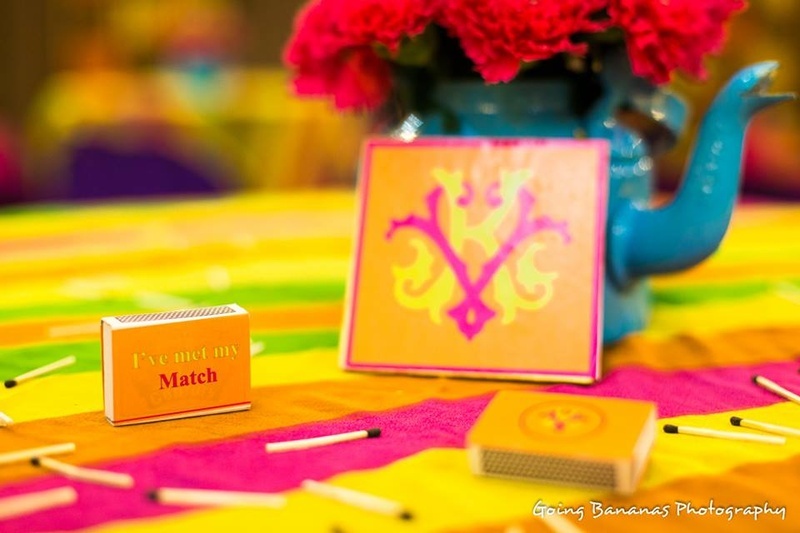 Creative invites reflect your personality and add that extra zing to your card. Here are a few unusual design ideas for your wedding cards to make the guests go ‘wow’. This is an ideal card design for couples who love travelling or have fallen in love on a travel expedition. It is one of the ways to get your guests all excited and eager to attend your wedding. The cards can be fully customised just the way you want it. If you’re planning a destination wedding, then a boarding pass as an invitation will make a great idea! The colour and font can be according to the destination you choose, which will definitely create a different mood for your wedding. If you love mystery books and movies, then this is an invitation card you’ll love. Along with being innovative and different, this kind of a wedding invitation is also clever. It generates curiosity and a level of anticipation among guests. Capture those puzzled looks that your guests have as they are challenged with a wedding invitation in the form of a puzzle. If you’re a lover of crossword puzzles and Sudoku, then an invitation card in the form of a puzzle can speak volumes about your style. Fix a balloon to a card without revealing any details to the guests on it. As the guests blow the balloon and it expands, the printing on the balloon with all the information about your wedding becomes visible and bang! The invitation comes to life. This idea is creative and cost-effective at the same time. For couples who love movies, this kind of an invitation card echoes their personality. You can have an invitation card designed in the form of a movie reel or even a clap board to showcase the movie buff within you. This style of wedding invitation is different and generates a lot of buzz. This method of sending across invitations to your guests is an ideal way to announce your wedding day. It is apt for couples who plan on having a destination wedding. Make sure you design a message that is befitting for your wedding them and the paper fits into the bottle perfectly. An elegant and well-designed jewellery box is an amazing wedding invitation. With your initials engraved on top of the box, this kind of a wedding invitation adds a regal touch to your wedding. You can always personalise the design, colour combination and type of material used for printing the invitations. It is very popular among couples these days. This invitation largely consists of a box containing all the invitations for various wedding functions, right from sangeet, haldi, mehendi, cocktail party, and wedding in it. With a royal and vintage-y feel to it, it will be loved by all your guests. No matter how much you quirk it up, when it comes to wedding invitations, the simple, classic card will always remain a favourite. The choice of paper, design, colour and shape of the card can be designed as per your likings. Rather than focusing on how to make your wedding invitations look trendy and cool, focus on what type of invitation suits your wedding theme and how it brings out the personality of the two of you as a couple. Even if you opt for a traditional design, make a statement the minute your guests open the envelope.